Sir Paul Lever explores the future of the EU in the wake of Germany's September federal election. On Wednesday 25 October, the IPR will welcome former Ambassador to Germany and Vice-President of the Royal United Services Institute Sir Paul Lever to speak on Germany's role in shaping the EU and its future at the head of the bloc. Drawing on his recent book of the same title, the veteran diplomat will address an audience at the University of Bath's London offices before leading a discussion on this theme. Abstract: In the second half of the twentieth century Germany became the dominant political and economic power in Europe and the arbiter of all important EU decisions. Yet Germany's leadership of the EU is geared principally to the defence of German national interests. Germany exercises power in order to protect the German economy and to enable it to play an influential role in the wider world. Beyond that there is no underlying vision or purpose. 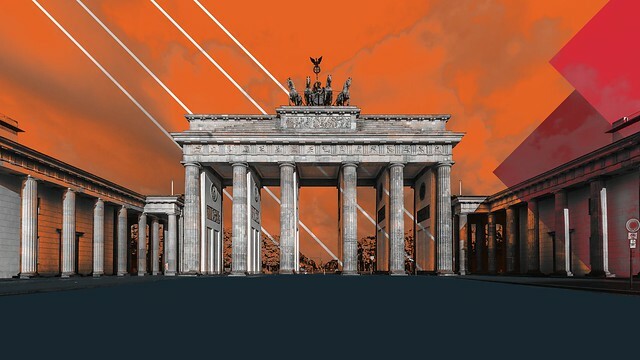 In this talk Sir Paul Lever will examine the reasons for Germany's dominance of Europe and explain how the country's history has shaped its European policies. He will compare German politicians' rhetoric about the EU with their behaviour within it and will speculate on how the German-led Europe which the UK is preparing to leave may look in twenty or so years time. Berlin Rules: Europe and the German Way is available to purchase on the website of publishers I.B. Tauris. Sir Paul Lever is Vice-President of the Royal United Services Institute, having been its Chairman from 2004 to 2010. From 1966 to 2003 he was a member of the British Diplomatic Service, specialising in European political, economic and security affairs. He served in the British delegation to NATO, in the European Commission, as Chairman of the Joint Intelligence Committee, as EU and Economic Director in the Foreign Office and, from 1997 to 2003, as Ambassador to Germany. His book Berlin Rules: Europe and the German Way was published by IBTauris in spring 2017.